Rachel Ashwell Rosabelle Bedding - Swatches may be available. 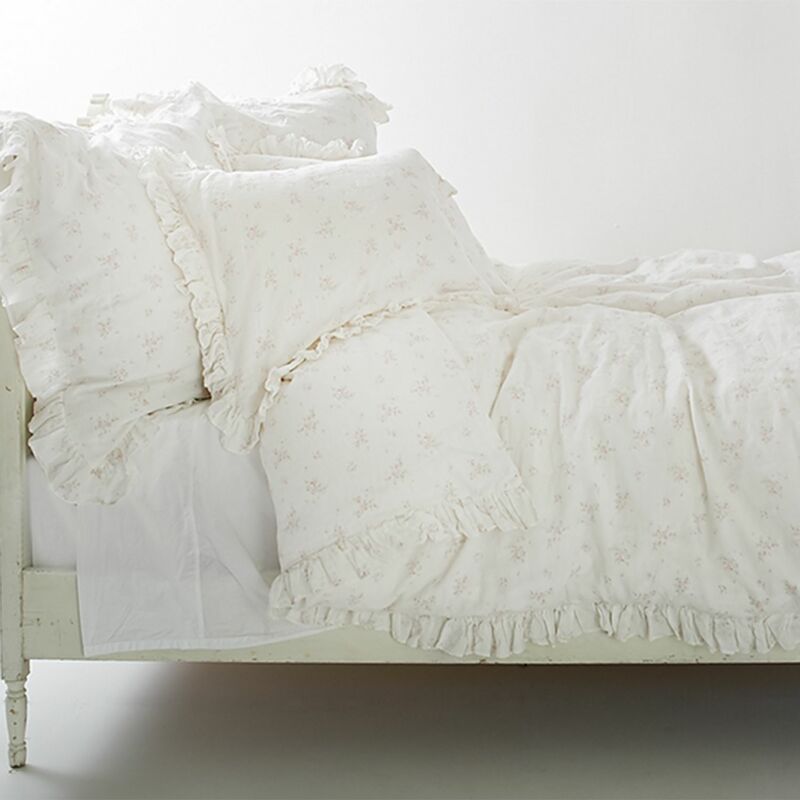 Surround yourself in the effortless charm of the Rachel Ashwell Rosabelle Duvet Cover. Set against the casual elegance of white linen, this duvet cover features an all-over floral pattern in shades of pink and green, made even prettier with a matching ruffle around all sides. 100% Linen. Machine Wash Warm, Wash With Similar Colors. Only Non-Chlorine Bleach When Needed. Tumble Dry Medium, Remove Promptly. Warm Iron As Needed. 100% Linen. Machine Wash Warm. Surround yourself in the effortless charm of the Rachel Ashwell Rosabelle Duvet Cover. Set against the casual elegance of white linen, this duvet cover features an all-over floral pattern in shades of pink and green, made even prettier with a matching ruffle around all sides. Hidden zipper. Tap into vintage-inspired elegance with the Rachel Ashwell Rosabelle Rectangular Decorative Pillow. This all-linen decorative pillow adds a pop of prettiness with an all-over floral print in shades of pink and green, along with a playful ruffle border for a touch of winsome charm.